Claudio V. Di Leo is an assistant professor of aerospace engineering at the Georgia Institute of Technology. Dr. Di Leo received his Ph.D. (2015), M.S. (2012), and B.S. (2010) in mechanical engineering from the Massachusetts Institute of Technology, where his research focused on modeling hydrogen diffusion in metals and the chemo-mechanics of Li-ion batteries. In June 2015 he joined the Daniel Guggenheim School of Aerospace Engineering at Georgia Tech as a postdoctoral fellow, where he conducted research on multi-scale models for metal plasticity and structural mechanics of robotics landing systems. In November 2016, Dr. Di Leo joined Georgia Tech as an assistant professor of aerospace engineering. 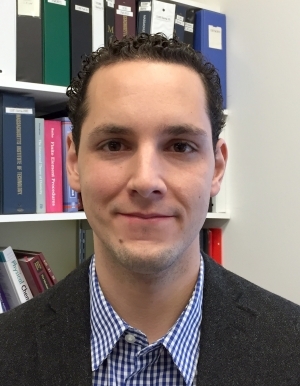 His research encompasses the broad topic of multiphysics mechanics of materials, with a focus on developing constitutive continuum models through theory, computation, and experimentation. He is particularly interested in the coupling between chemistry and mechanics of materials --- how we harness this coupling for improved chemical and mechanical performance of materials --- and has applied this towards the development of improved energy storage devices. Beyond developing his research group, Dr. Di Leo also directs the Aero Maker Space, a new family of facilities at GT Areospace Engineering aimed at prototyping and testing any and all ideas.